Invite your best friend to sit with you on this bench to hold meaningful... or silly... conversations, or relax on your own, while you ponder on the meaning of life. 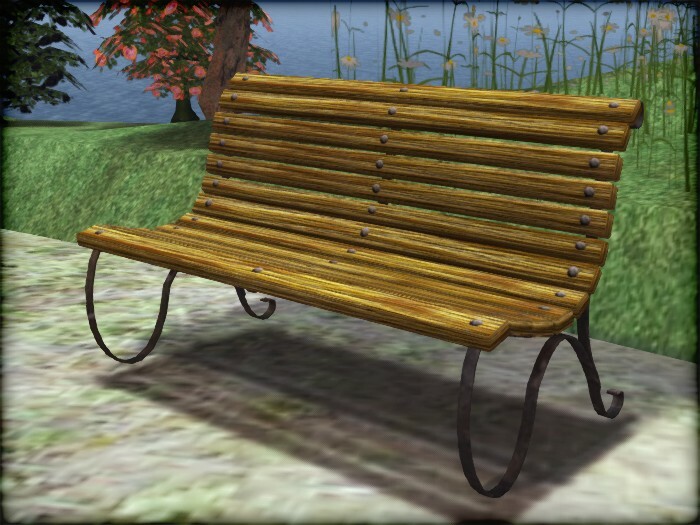 This old park bench, inspired by a real Victorian-era design, is a bit rusty, but still sturdy (we hope). It contains a mix of adjustable poses (single sits and conversational couple sits). Featuring original mesh and textures, your park bench also benefits from fine-tuned Level of Details and Physic shapes. What it means to you is that it'll look good up close and personal and from afar too, while still keeping a reasonable land impact. The animations aren't mirrored. The female avatar has to sit on the right, the male avatar on the left. It's really only suitable for m/f couples and friends at the moment.